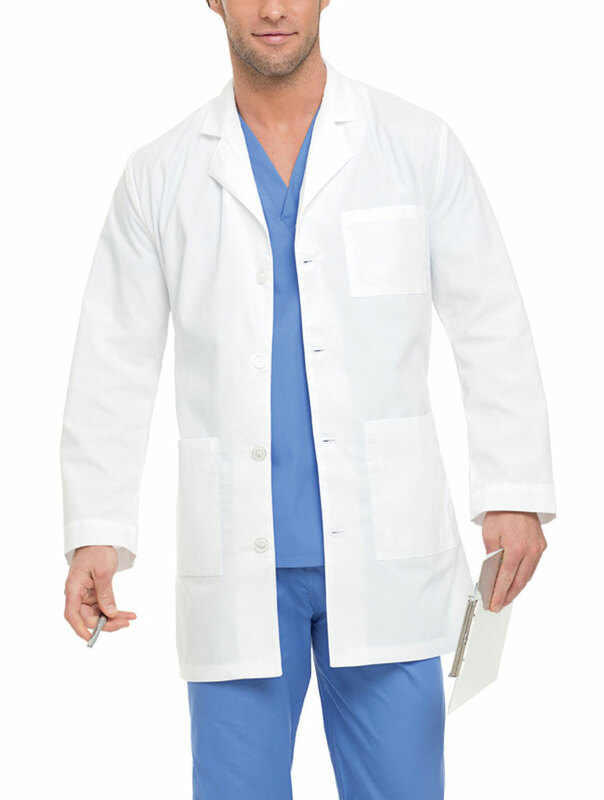 Our four button men's lab coat was made with you in mind. With three front pockets, side hand access, and two lower inside pockets, this jacket has the function you need with the styling you want. Stitched down back belt over pleats for added detail. 65% Polyester/35% Combed Cotton Medium length: 35 1/2" (size 40) .